Radio Onde Furlane - Well, Eugenia Natsoulidou, we talked about nice things in the meantime, for children, for children's books in the Friulan ... and I'm not saying that we will talk about bad things, but let's try to talk about Europe in another form. A minority that, among other things, even estimates are all curious, I see estimates that go from low to higher of Macedonian speakers, that are within the Greek state, the Greek state does not recognize, in no way, I have noticed, by any of the parties, you participated in an event of the European Union where, after this, there have been some really outrageous letters coming from all the parties. That is, the denial to what exists. You are a minority that does not exist officially, but you do exist! ROF - You make a big fight, among other things, as I understand. Today you will tell us in Udine. E - Yes. Well, Greece essentially denies reality. Reality exists, it is there. And there are not only the Macedonians, there are many other minorities. What bothers the Greeks, the politicians, I cannot talk about the whole population, but the people are being educated in some way. E - Yes, yes .. we are the spies, we are the ones ... we are the Greeks who are anti-Greeks, that is, the Greeks who are against the Greeks. So it is very difficult to work in such a situation where the media, all the institutions, the schools - the education - the parties as we said, the political world, and above all the Justice. That is, when we get insults in such a way through the media, the press, the television or any other means, the normal reaction would be to denounce whoever writes these things and go to the courts of justice. Well, we've done it many times ... We did not win a single case. Never. Because the judges' judgment is shuffling with the foreign policy of the country so when I say I'm a Macedonian, the judge says, what? That I am not right in face of the law because, by my behavior, I favor the state which is hostile to Greece. ROF - It is somewhat similar to what happens to the Slovenians here ... It started to somehow disappear this bias, but there are some who say that Slovenia through them wants to conquer ... unknown what exactly! E - How is it possible? What can I do against Greece as a Greek citizen? ROF - Exactly! You are a Greek citizen of the Macedonian minority. E - I have obligations toward the Greek state, I should have some rights, substantially, because I want my identity to be respected, more than to be recognized, because I do not care at this point how the Greeks will call me, but if I want to teach Macedonian language to children, I should have the opportunity to do it because it is in my rights. ROF - The Macedonian language disappears, they told me, and I read on the internet. That is, among the young people it is literally extinct. Many, as you said, do not use it publicly for fear. We are at the level of almost ghettoization of the Macedonian minority. E - Well, we, as the Macedonians, have had great expectations from the 80s onwards about Europe. We thought that maybe we could had some basic rights on the basis of the ideas ... of the idea of ​​United Europe, such as democracy, diversity, all these things. On the contrary, nothing changed. Zero ... zero! It is not that we have not resorted to the bodies of the European Union by writing about a number of problems that we have not just us, but also of other issues of the past that have not been solved yet and the answer is always the same: these are issue concerning the Member State for which we have no authority. E - Yes! And that's been the case for 20 years. E - But also with Macedonian ancient history. If you go to Pella, which is the birthplace of Alexander, the capital of the Macedonian Empire, there is a museum with very few visitors, not even schools, that is, Greek schools to do educational excursions to see Pella, the museum and the archaeological finds. E - But he was a conqueror of Greece and the fact that Greeks insist that this person belongs to Greek history is only for political purposes, due to the Republic of Macedonia, the Macedonian minority in Greece, these things. How can they prove that Macedonia is Greek, if not by appropriating the history a bit? ROF - There have been conflicts, if I remember well, also on the name of Macedonia, some time ago ... and still there are, like if we say that they are called Macedonia but they could not be called Macedonia. And also these are incredible mental acrobatics! E – Mental Acrobatics, and the truth slowly comes out. We have been protesting since the beginning, since 1995, we Macedonians of Greece and we said, together with the Macedonians of the Diaspora and the Macedonians of the Republic, the problem that Greece has it is not about the name of the country, which could have been an issue of ... bureaucracy! It is a problem of national identity. Greece cannot accept a nationality, a Macedonian nationality. That's the problem. And now it comes out in the front. It is not enough for Macedonia to change its name, to become Northern Macedonia, but Greece wants to change also the identity of the Macedonian people and make them, for example, the Northern Macedonians, that the name has only a geographical meaning and that there is no Macedonian nation, and Macedonia is part of Greek history and whoever is a Macedonian is also a Greek, there is no Macedonian nationality, so the Republic of Macedonia cannot have Macedonian citizens. It must be something else. ROF - But this is somewhat schizophrenic! E - Of course it's schizophrenic. The refusal to accept reality. Reality exists, is historical, reality exists. The nation exists, it fought for independence, it did not succeed for other reasons, but you cannot say they do not exist, and the whole world has to accept this thing. ROF - Yes, it's like saying we decided, so this is it, dot. E - Yes, that’s it, I decided, it is over. ROF - They are somewhat like spoiled children. 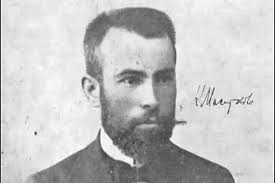 ROF - We were talking, yes, the language studies I know spoke just about a variation of Bulgarian, but then it was revealed that this was a separate language, not very recently, but over the past century. E - They gave their own name to the country, Thrace. It was Thrace there. And they adopted the language of Thrace. The Macedonian, from antiquity, seems to have been similar languages, the languages ​​of the peoples of Macedonia, not all of them called Macedonians, seemed to be similar. But I do not want to go back to antiquity. Let's put logic on more recent events that are proven. Saint Cyril and Methodius created an alphabet for the Slavic languages ​​spoken in Thessaloniki. This was the eighth century. The Bulgarians came to Bulgaria in the seventh century, in Thrace. 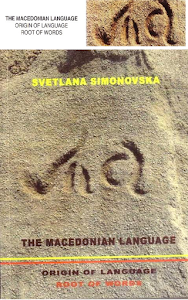 How is it possible for the Macedonians to create a scripture by adopting a language that the Bulgarians have brought? There is no logic. ROF - Something is wrong, really. E - Because in Thessaloniki Slavic was already spoken before the Bulgarians came to Thrace. ROF - It's a story that has to be rewritten and you are reviewing it interestingly for future studies as well. ROF -To get to know, tonight, a piece of Europe, because also this Europe, and this part of Europe, this minority that does not exists officially but exists practically (and in history) eh, that's yellow, I can say that it is green, yes I can manage but maybe painting it with another color, but in fact it is still yellow, at first I could leave it yellow, but if I see it green or the green is the color I prefer, I keep on to see it green but with a little effort I could also accept the yellow ... It could exist ... with this allegory. 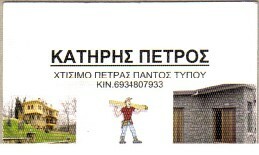 Thank you very much, Mrs Natsoulidou, for telling us very interesting things. Thanks a lot, good morning. Αναρτήθηκε από bb στις 12:05 π.μ.